Only on for a brief period of time. 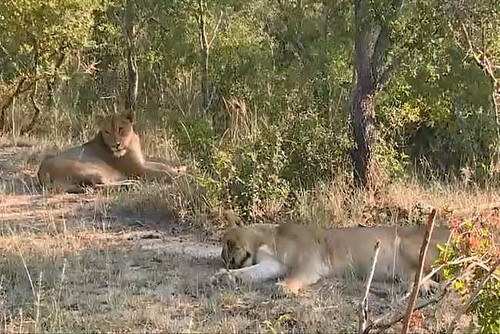 Healthy looking lions - only one male, who when grooming resembled a contortionist. Closer view of the one above. Sleep well, like the cats. Since my last post I have not seen most of the drives. Scott, Brent and Alex will be returning to join Marc. I am so delighted that Brent has been asked to come back. Brent and Scott went to high school together. Feb. 25 AM Drive - which I missed. 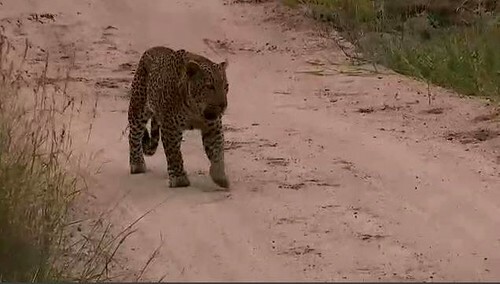 Mvula and Karula were both seen. At different times on the drive and going in different directions. One can but hope ? 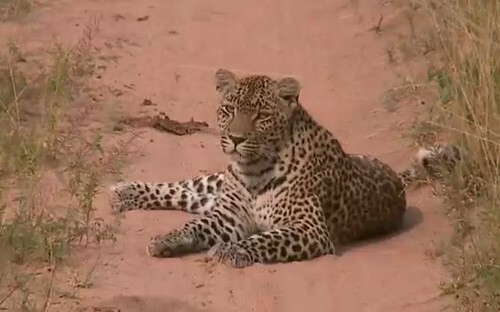 In the past week we've seen Karula, Mvula and yesterday Kunyuma. So much excitement with Matimba and Nkuhumas. Well done to Scott and Brent for a wonderful ride. April 8 sees time slots changing to accommodate the winter months in Africa - related to sunrises and sunsets. I believe there is some incorrect information in post re changes. In Canada there is Eastern Time Zone and Atlantic Time Zone. When I have time I will check The groups on Facebook for more info. Hi BBE and all. It sorts out to this: their sunrise drive will be 12:30 am to 3:30 am EDT, and their sunset drive will be 9:00 am to 12:00 pm (noon) EDT. Good thing I am a couch napper, lol! How are you doing these days? I hope your weather is on the uphill swing. The past few days have been sunny and glorious. Thanks for your post. I guess my problem was with the second listing as they didn't have 2 hours between Eastern and Central. Also Canadian Eastern is not the same as Atlantic!!! I'll just turn the computer on in the general time frame. Have company at present so ?? I'll be able to watch. I also have a stack of photos of the various leopard sightings in the past month. But nned to creat the better part of a day to sort, upload to Flicker and post back here! Suzanne Hettenvan-Wolf (SuzHar) has set up a new group on Facebook for lovers of the WE Safari drives. As of today this is where she will be posting her photos and videos from the drives. This move saves her having to post them in several places. 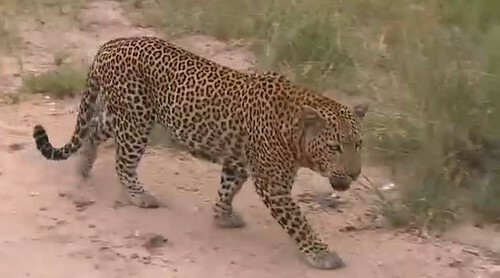 Safari LIVE Vids and Pics. I had to stop and think making a link !!! 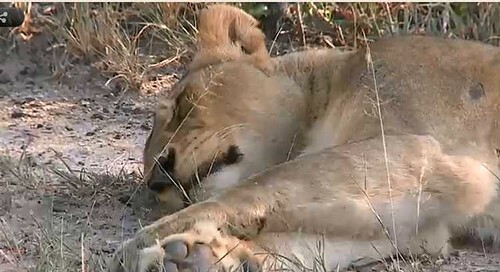 Many changes in presenters and lions busy trying to displace some of the older lions. As of December I am NOT re-newing my Flickr Pro subscription. However I will still have a free program and am told all my photos will still be visible. Best wishes to all still here watching the nests and drivesI. Thank you for the information, BBE. Now to find time... need 24 extra hours each day! The days are never long enough are they? I hope U R keeping well? I see that even though I re-read my above post several times I omitted the word 'NOT' in relation to my Flickr Pro subscription. It has been a little over a year since Karula lost her cub to hyenas. We have been hoping for evidence of another pregnancy as she has been seen mating several times since the loss. Karula is a mom again! She gave birth to at least one cub on February 1st! 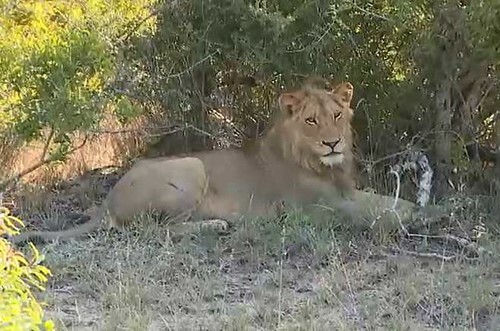 Quick view only for confirmation and the den site off limits for a while so she and the cub(s) can have privacy. 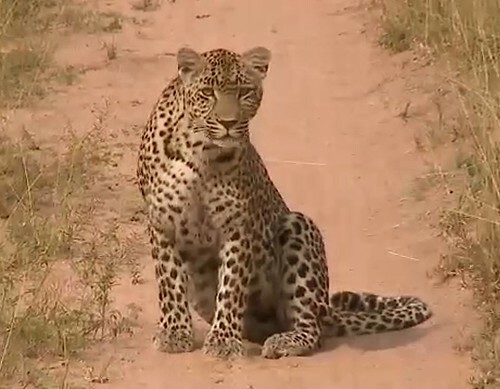 Probable father is Tingana, but Karula has also mated with the Anderson male, and possibly the shy northern male and Mvula. The safari drives continue to get better and better, and the Nat Geo Wild TV broadcasts in the US in December were fabulous! If you haven't been onboard for a while...... it's worth your while! 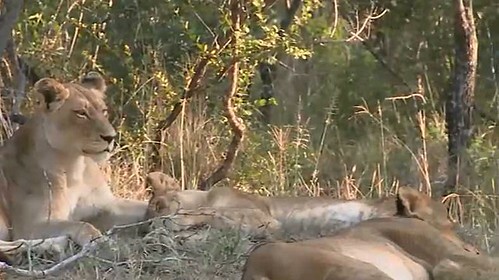 Mutliple platforms now, including YouTube (channel SafariLive live stream, Wild Earth live stream), Ustream, Nat Geo Wild (www.wildsafairlive.com) and Wildearth.tv.